The Saramonic SmartRig Di with lightning interface is an easy solution to connect any professional microphones or guitars to record quality audio or create music with your iPhone, iPad and iPod touch. We are Authorized SARAMONIC Retailer in Singapore with official SARAMONIC warranty. 1 Year Warranty. 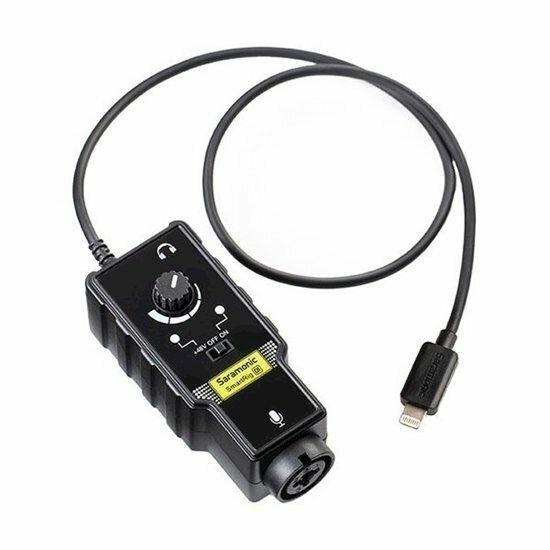 The Saramonic SmartRig Di with lightning interface is an easy solution to connect any professional microphones or guitars to record quality audio or create music with your iPhone, iPad and iPod touch. Simply plug the microphone into the XLR connector or plug the guitar into the 6.35mm connector of SmartRig Di, and connect it to your iOS devices with the lightning output cable. The provided gain control thumbwheel makes it easy to set precise levels. Processed sound can be monitored through a 3.5mm headphone out.